Regardless of when you were born, there are retirement investments capable of making your golden years become a reality. That’s not to say retirement investments aren’t divisive, however. For as long as I can remember, the idea of retirement has always covered both ends of the spectrum; it’s either right around the corner and always on your mind, or it’s too far away to even worry about. Everyone has their own opinion on the subject, and for good reason: the right time to save for retirement is when you are ready to contribute in a meaningful way. But I digress, it’s never a bad time to initiate a self-directed retirement plan. There are steps that can be taken at any stage in life that can contribute to a comfortable retirement, and trust me, you aren’t the exception. No matter how old you are, it literally pays to start saving for your golden years. It is worth noting, however, that the sooner you start planning for retirement, the better. Younger generations, millennials for example, are awarded the benefit of time; something not everyone is lucky enough to have. There are certain retirement investments that, when carried out by someone with a lot of time until they retire, compound over time. The longer they are implemented, the more potential these investment vehicles have. And while it’s never too late to start saving for retirement, millennials are in a great position to take advantage of the time they have been awarded. If for nothing else, the more time one has until retirement, the more money they should be able to save — provided they choose to put their hard earned money into the right retirement investments. The length of time one is from retirement has always had a hand in the type of investment strategy that should be implemented. 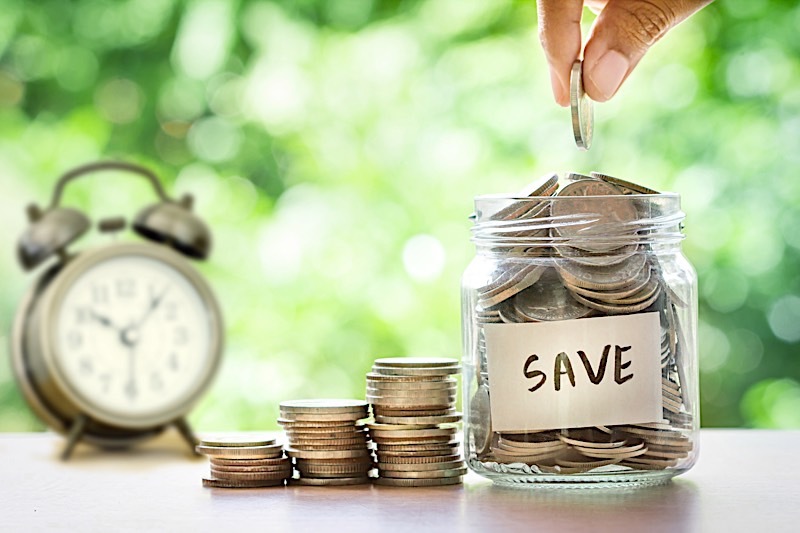 Those that are on the verge of retirement, for example, are typically advised to take less risk with their savings because they have less room for error. Younger investors, on the other hand, can exercise a greater degree of risk because of the simple fact that they have more time to make up for any problems they encounter. According to REIT.com, real estate investment trusts are companies “that own or finance income-producing real estate.” Not unlike their mutual fund counterparts, REITs are entirely capable of providing savvy investors with regular income streams, diversification and long-term capital appreciation. What else could an investor ask for? It’s worth noting, however, that similarities between mutual funds and REITs are only skin deep. Most notably, to be classified as an REIT, companies usually pay out all of their taxable income (90% at the very least) as dividends to shareholders. As a result, those that partake in the distribution are required to pay income taxes on the dividends they receive. It’s worth noting that my sentiment towards REITs isn’t solely based on the dividends they provide, but rather their long-term viability. If for nothing else, REITs have proven they can provide great returns over the long haul. “The special investment characteristics of income-producing real estate provide REIT investors with competitive long-term rates of return that complement the returns from other stocks and from bonds,” according to REIT.com. And as great long-term plays, millennials are awarded the opportunity to start at a younger age and capitalize on the long-term benefits REITs have to offer more so than those in the generations ahead of them. Buy and hold real estate, otherwise more commonly referred to as rental properties, has become a preferred retirement investment vehicle for people of all ages. If for nothing else, few investment strategies combine the profit potential and passive nature that owning a rental property does. Assembled correctly, a great passive income portfolio of rental properties can produce enough capital to retire comfortably, and with minimal work on the back end might I add. That’s not to say there won’t be a lot of work up front, but those who mind due diligence as a millennial and put in the hard work while they are younger could benefit immensely when it comes time to retire. Those with more time separating themselves from retirement are awarded an inherent advantage: paying down the mortgage with other people’s money. While passive income is a great retirement investment for those in their fifties and sixties, the best benefits of passive income real estate aren’t realized until the mortgage on the respective property is paid in full (which could take as long as 30 years). So while passive income investors stand to make a profit every month they collect rent, a portion of what they collect must go towards paying the mortgage. However, it’s entirely possible for those that start at a younger age to pay off their mortgage by the time they retire. That way, the rent checks they collect once the mortgage is paid off are theirs to keep. And since the average mortgage takes about 30 years to pay off, those that assemble a passive income portfolio in their mid-thirties are in a great position to retire with a great revenue stream. It should go without saying, but REITs and passive income real estate are two sound retirement investment options for people of all ages. However, it should be noted that those who can get a head start are awarded a great opportunity. These retirement investments, provided you mind due diligence, have a way of compounding over time that can make the golden years you have always dreamed of a reality.